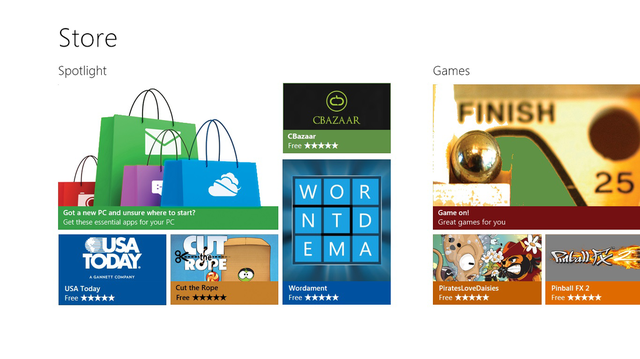 From the Start screen you can go to the Windows Store. Here you can find familiar, new and popular apps. It is easy to discover new apps with New releases, Top free, Top paid, and All stars lists or you can even see a list of recommended Picks for you. You can also browse through the different categories. 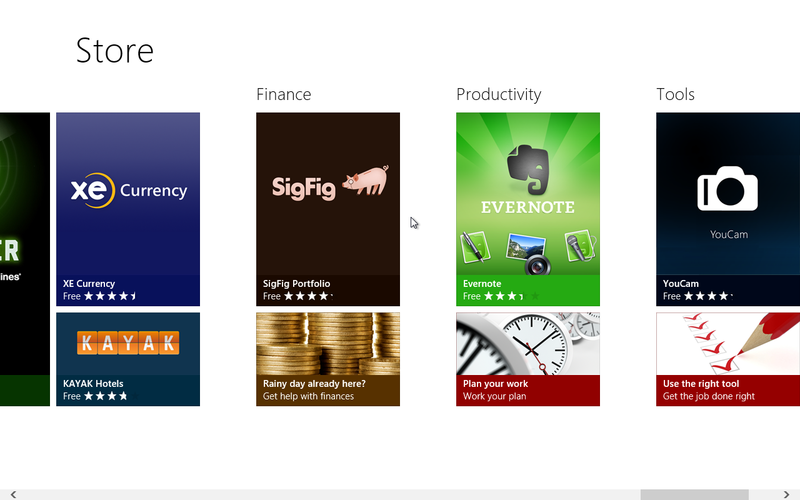 Apps are grouped together by type, making it easier to browse rather than searching directly. There’s also a cloud element to the Store — users can log in from any Windows 8 PC for access to all of their apps and settings, meaning that wherever you are it feels like your PC. Best of all, for the duration of the Consumer Preview all of the apps are free, giving you a chance to try out as many as you like. 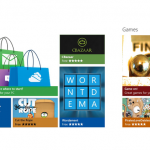 The Store is now live, and Microsoft has said that more apps will be added as the Preview goes on.